Mark Nawfal represents clients in the energy industry on a variety of civil and commercial oil and gas matters involving offshore platforms, vessels, and land-based energy projects. Mr. Nawfal joined Looper Goodwine where he could participate in international oil and gas transactions after completing his LLM in Global Energy. He handles ISDA contracts for derivatives and private equity investment in the U.S. and the Middle East. 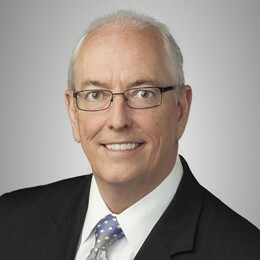 His commercial litigation experience includes indemnity issues between operators and contractors, breach of fiduciary duty, commercial fraud, toxic torts, international commercial lawsuits for breach of partnership, franchise and distributorship agreements. Suit in NY Court of Appeals against US multinational bank for breach of fiduciary duty in wasting trust fund assets of wealthy family. Defense of Boston Scientific in Middle East in product liability suit alleging failure of arterial stent. Parallel litigation defense conducted by Skadden, Arps, Slate, Meagher & Flom LLP of Public Warehousing Company in the US District Court for Georgia for allegations including breach of contract, violation of False Claims Act, illegal rebate/kickbacks. File claims in US Bankruptcy Court in the Southern District of NY on behalf of Lebanese investor against investment banking company. Advised real estate investor on contractual rights and litigation options. Defense of a client in Lebanon charged by US Department of Justice with antitrust violations and mail and wire fraud for alleged bid rigging activities on behalf of US oil companies. Negotiated a 5k1 plea agreement with the DOJ. Fraud claim regarding royalty funds owed to Lebanese owner of land in Texas. Arbitration proceeding pertaining to the dissolution of partnership agreement joining three prominent law firms in the MENA region. Trademark infringement litigation in Middle East. Assisted in dispute resolution regarding warehouse storage and transportation of food products for UN military envoys in Africa. Trial litigation followed by appeal in Germany for breach of contractual duties between German and Lebanese partners that led to the dissolution of Drom Camena (luxury cosmetics producer) branch in Lebanon. Advised Lebanese franchise of Audemars Piguet in breach of contract suit against European franchisor. Worked with senior partner in representation of Grand Moulin de Guinea, one of largest corn and grain wholesale distributors in Guinea, in the breach of a joint venture agreement with Grand Moulin de Conakry after repudiation of exclusive purchasing agreement following Guinea lifting of a ban on corn imports from Turkey. Coordinated with team of attorneys led by Baker McKenzie on sale of a worldwide subsidiary of Boston Scientific. Advised Norton Rose Fulbright on petroleum regulations in Lebanon issued by the Petroleum Administration. Led a team in representing Agility Logistics, largest logistics company in the Middle East and fifth worldwide, in partnership with German company ALBA Recycling Group GmbH, in negotiations directly with the Minister of Environment of Lebanon for construction of waste to energy power plant and for the handling of the collection and disposal of Lebanon’s medical hazardous waste. Submitted bid with Kuwait National Petroleum Company for freight forwarding, custom clearance and transportation services. Incorporated investors into a Lebanese offshore company U.S. State Department contracts in the Middle East. Drafted Joint Venture between multinational bed and furniture manufacturer for the production of mattresses in Saudi Arabia. On behalf of client real estate developer, outlined a corporate structure to maximize participation and limit tax exposure by foreign investor in light of restrictions by Lebanese law on foreign ownership of land. Representation of the largest shopping mall in Lebanon - ABC sal. Conducted due diligence on acquisition by Mitsubishi of outstanding shares in its subsidiaries in Middle East. Drafted agreements between United Nations and G4S, largest security firm in the world, for construction of security facilities at UN headquarters in Beirut. Negotiated management agreement on behalf of United Projects for Aviation Services Company and National Aviation Services for operation of a new terminal at Kuwait International Airport. Advised on freight forwarding contracts for clients throughout in Middle East and Africa. Negotiated advisory agreements for financial evaluation of large Kuwaiti investment fund and multiple subsidiaries. Revised contracts for the sale of surgical and hospital equipment in the Middle East. Represented a multinational telecommunications firm in licensing and service contracts for Middle East and North Africa. Looper Goodwine P.C. handles sophisticated oil and gas industry transactions and litigation, a law firm with deep ties in the Houston and New Orleans business communities. We provide elite competence in regulatory representation and domestic and international onshore and offshore oil and gas transactions. Looper Goodwine partners left well-established law firms to build a law firm model representing middle market public and private companies and complex partnerships. Understanding the oil industry enables the Firm to serve as a strategic legal advisor and supplement to our clients’ legal departments. Our lawyers handle complex acquisitions, energy litigation, project finance and tax structuring.